BorWin Gamma safely installed by DP floatover method in the North Sea. COSCO SHIPPING Specialized Carriers safely delivers Shell’s Appomattox hull to Ingleside, Texas U.S.A.
COSCO SHIPPING Specialized Carriers successfully loaded Shell 40,335mt Appomattox hull on board the M/V Xin Guang Hua nearby Geoje Island, South Korea on August 6th, 2017. 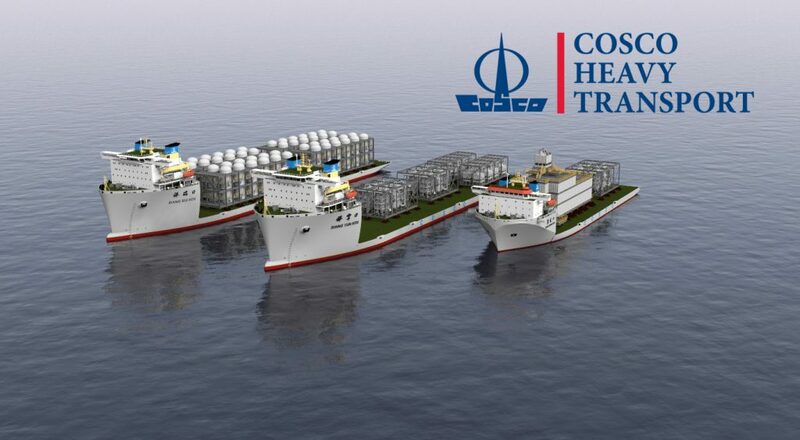 COSCO SHIPPING Heavy Transport, with locations in Houston and Rotterdam, is responsible for the marketing, project management, and engineering for COSCO SHIPPING Specialized Carrier’s semi-submersible fleet. 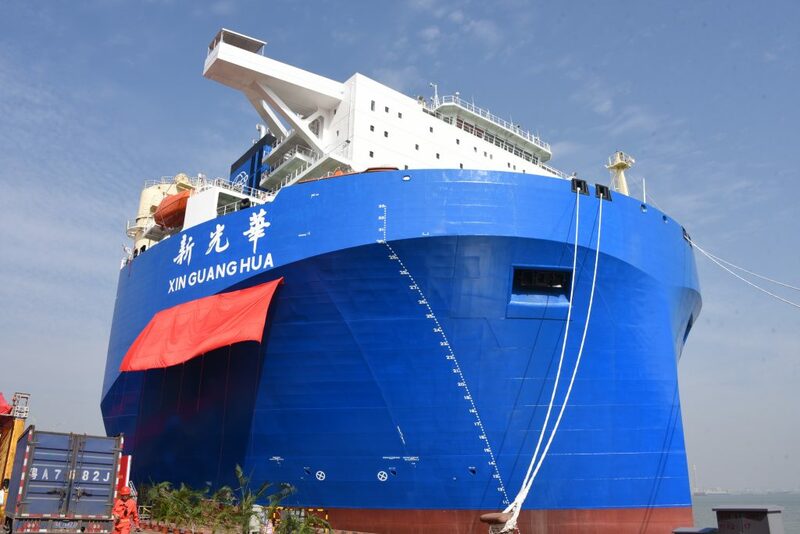 COSCO Shipping Specialized Carriers Co. Ltd. has taken delivery of the 98,000 dwt Xin Guang Hua. 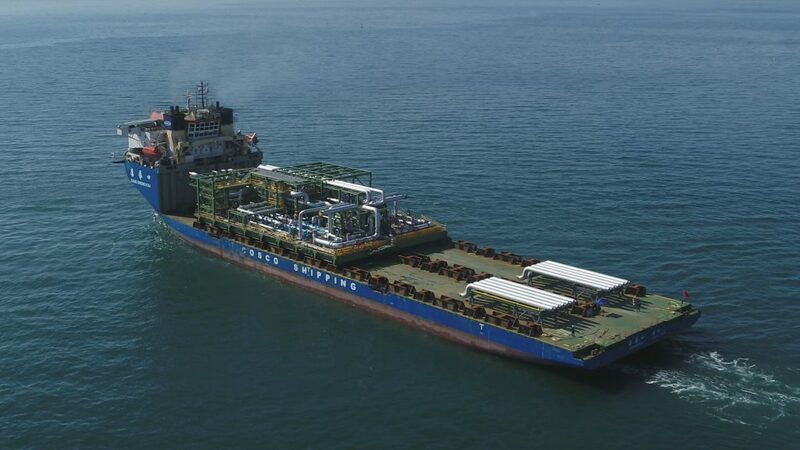 Zhi Yuan Kou delivers modules for Chevron’s FGP-WPMP Project. 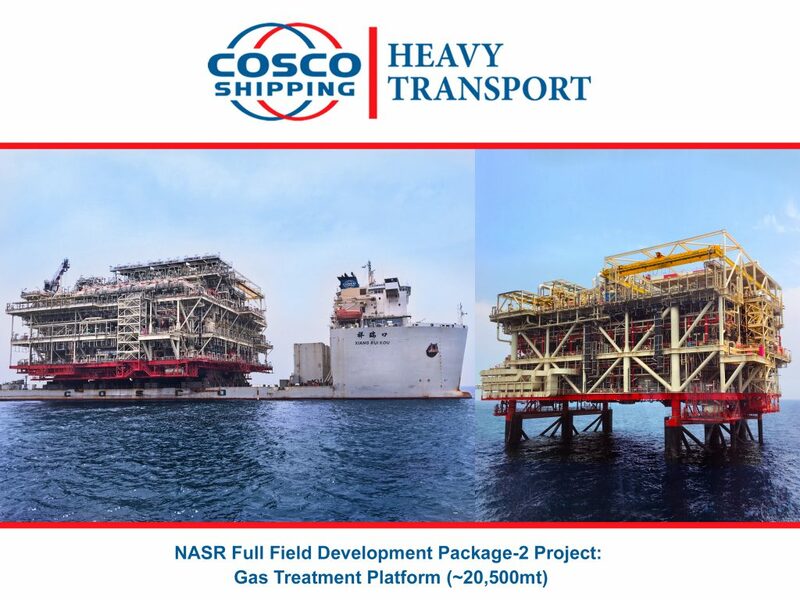 COSCO SHIPPING Heavy Transport (Americas) Inc.
COSCO SHIPPING Heavy Transport (Europe) B.V.
COSCO SHIPPING Specialized Carriers Co., Ltd. The sound section of the Maersk Honam was successfully loaded aboard the heavy-lift vessel Xin Guang Hua on open waters outside Dubai (UAE) on Saturday, 2 February. 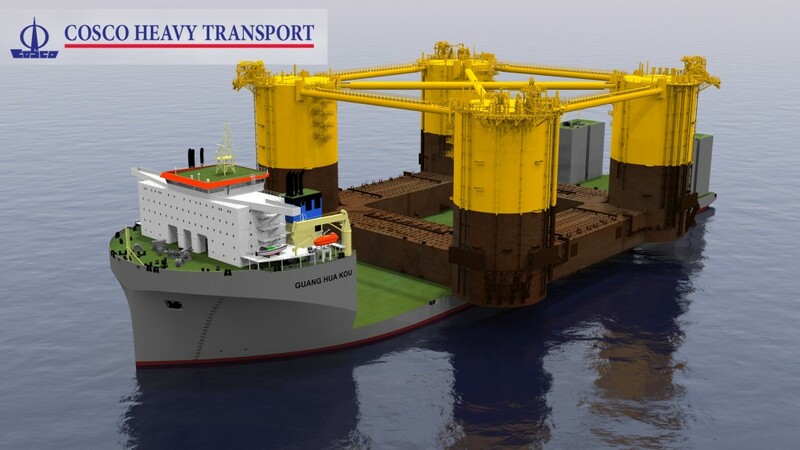 The heavy-lift vessel will delivery the 228.5m long section at Hyundai Heavy Industries in South Korea in March. COSCO SHIPPING Specialized continues transports for the FGP-WPMP project with the m/v Zhi Yuan Kou safely delivering modules from Okpo to Hamina in early January 2019.